Our vehicle has recently been ‘branded’ as the program name has been placed on the van. 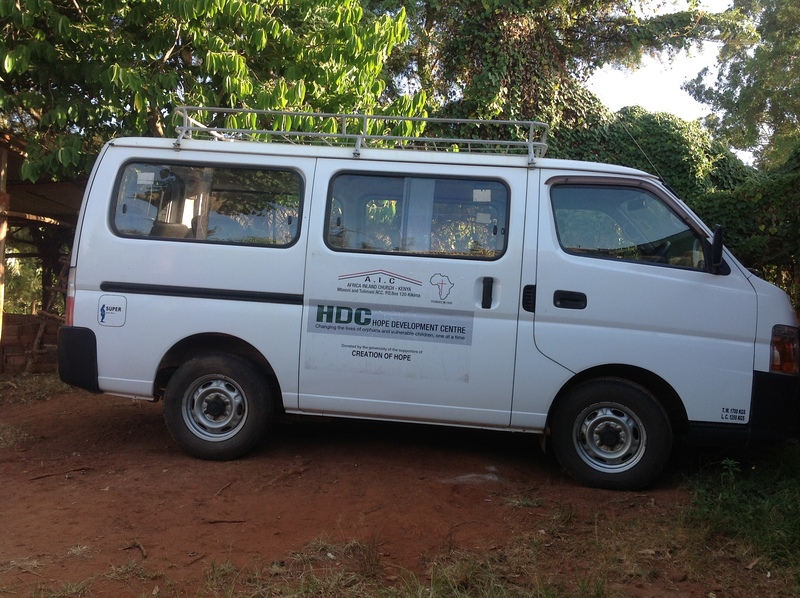 The van is used for driving the children, getting supplies for the orphanage and distributing food and supplies on distribution dates to orphans in the community. In addition we have ‘rented’ the vehicle out on occasion (along with our driver) and this has been an income source for the orphanage. 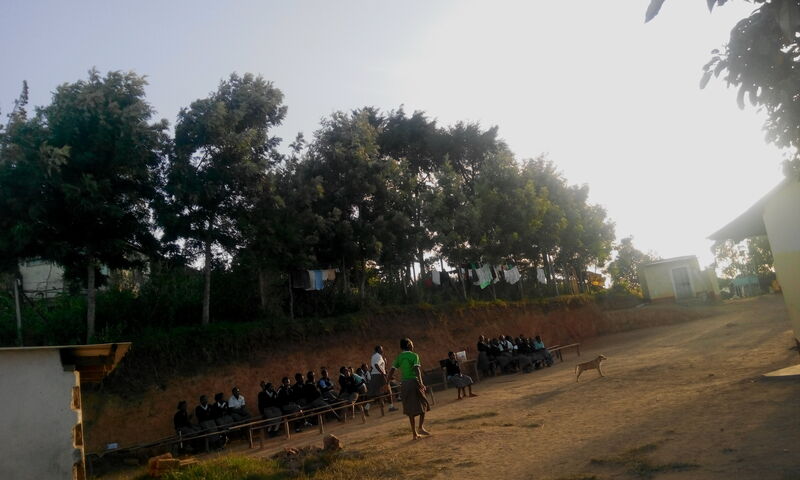 The trees you see bordering the yard of the Mbooni AIC Secondary School were planted because of a donation by Lisa Farlow – one of our sponsors – who also spent three months volunteering at the school. They have grown from little saplings to become what Ruth calls ‘Lisa’s Forest’. This is our friend and fellow children’s writer Margriet Ruurs from Salt Spring Island BC along with Ruth. 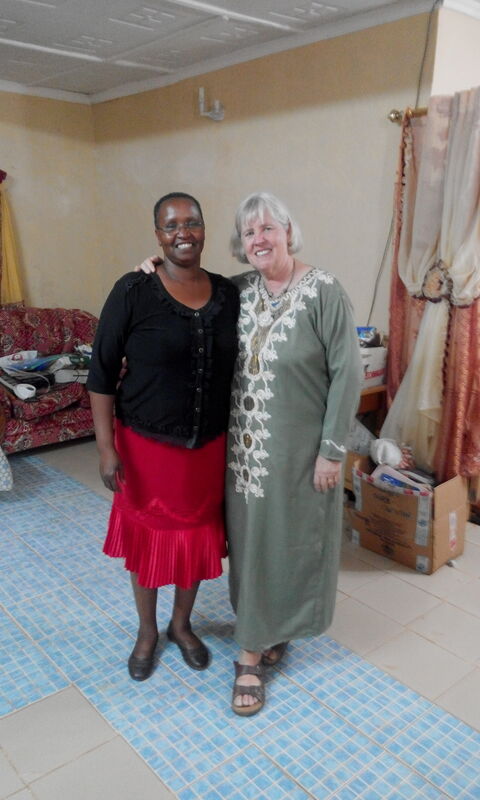 The picture was taken when Margriet and her friend Rosemary visited the program for a night recently in February. 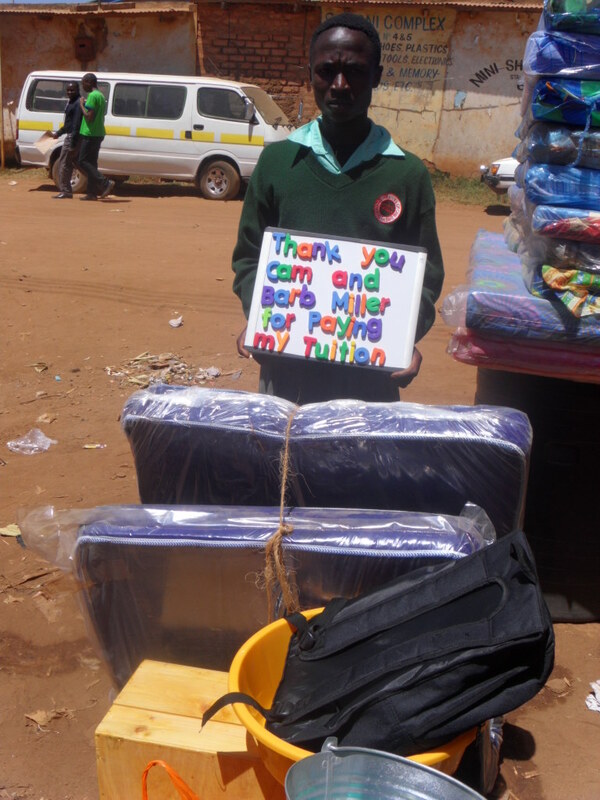 They brought bags of clothes and supplies for our kids and had a lovely visit at Hope. For the past 2 years we have been attempting to purchase a piece of land adjacent to our orphanage to use as a play area for the children. 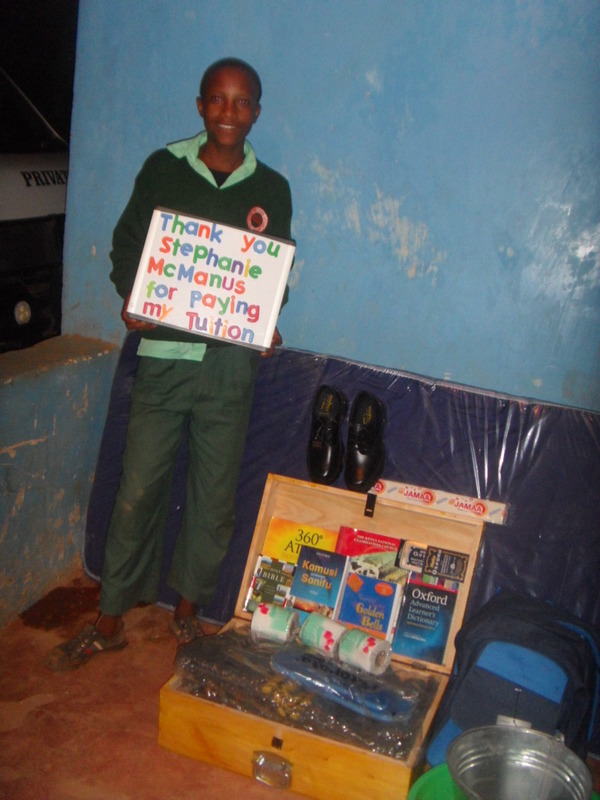 We have the funds available – kindly raised by a school and held in our accounts – but have been unable to complete the purchase. Land is a very emotional and psychological issue in Kenya. People have often been on that same piece of land not just for generations but for literally thousands of years so possessing, and sales, become more problematic. We have been given an ‘offer’ to purchase the land at more than three times what the property is worth. Sometimes people in the community feel that they can request prices that are far above community standards as they see ‘outside’ money. We have made a point of not paying above community standards because this can produce a series of escalating prices for other items. If we pay more for the land than it is worth, other people selling other things to us – food, mattresses, goats – will attempt to charge us more. While we continue to pursue this, the matter might be resolved potentially in the summer when I’m able to attend and try to negotiate in person. We will keep you up to date as this issue continues to evolve. We are Ms. Handa’s Grade 4 class from Carruthers Creek P.S. in Ajax. We were inspired by your book, My Name is Blessing, so we decided to put kindness into action. On February 18th, we held our Kind Kids Care Bake Sale to raise money for your Creation of Hope foundation. We were hoping to raise $50 to purchase a goat BUT instead we raised $384.95!!! We would like to donate this money to your foundation. 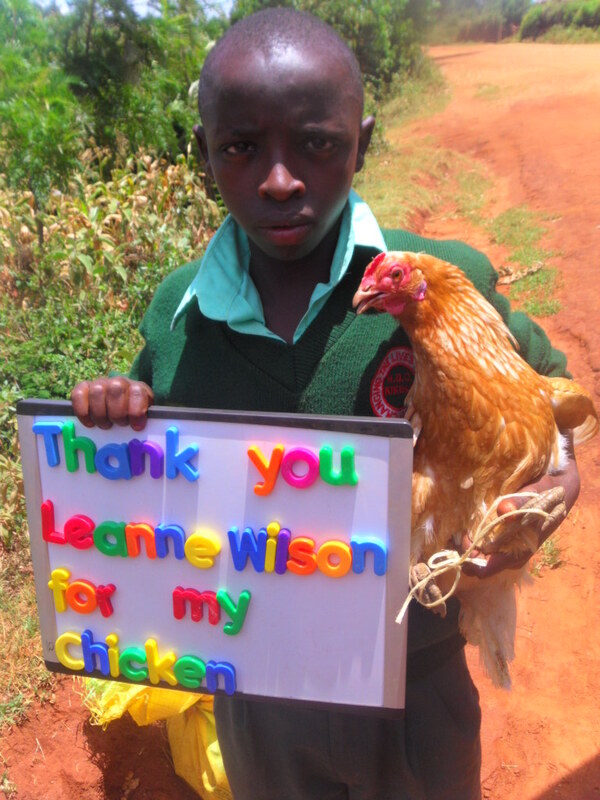 Perhaps you could purchase a goat, or anything else that is needed, for the orphanages in Kenya. We look forward to hearing from you. Thanks for writing such wonderful books that inspire us! This donation from Ms. Handa’s class is being used to support the Rolling Hills Residence for 4 days. 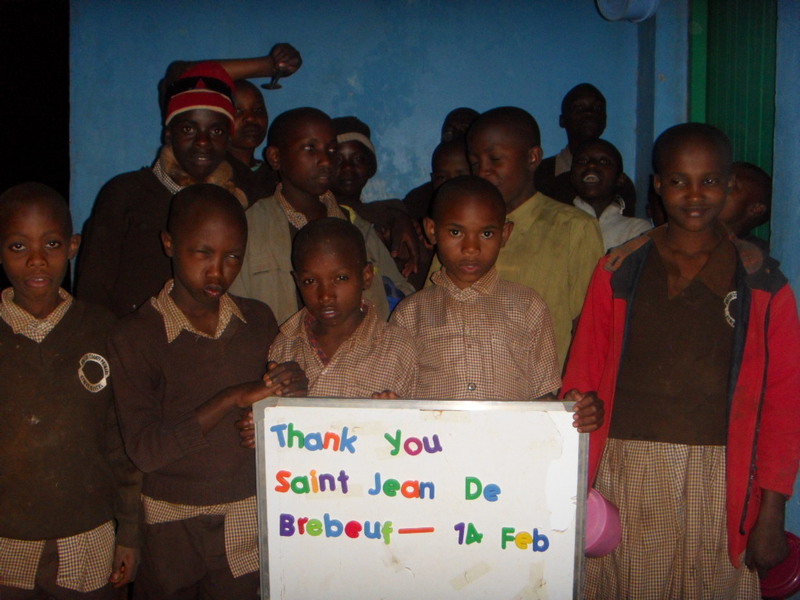 St. Jean De Brebeuf donated $170.10 to be used for a day of support and to help subsidize the food distribution. One of our Kindergarten teachers, conducted a program call “Don’t Count the Day’s Make the Day’s Count”. All the students from grade JK-8 recorded their kind deeds for 20 consecutive days in the month of December. These were recorded on a calendar provided to each student. The primary students could use pictures and or words to communicate their kind deed while the older students were given the opportunity to reflect and record their kind deeds. Upon completion of the calendar, the students were encouraged to push their kind deeds even further and donate 10 cents to Creation of Hope for each written kind deed. 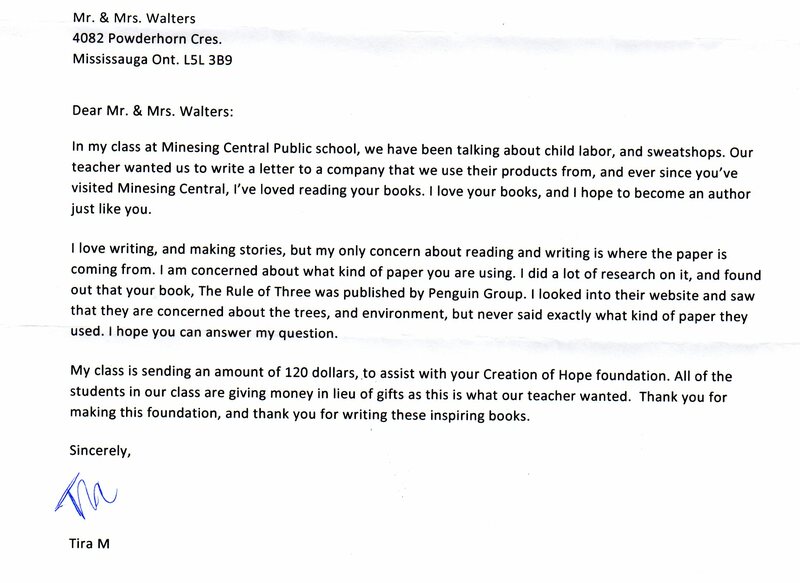 This worked out to be a total donation of $2.00 per child. 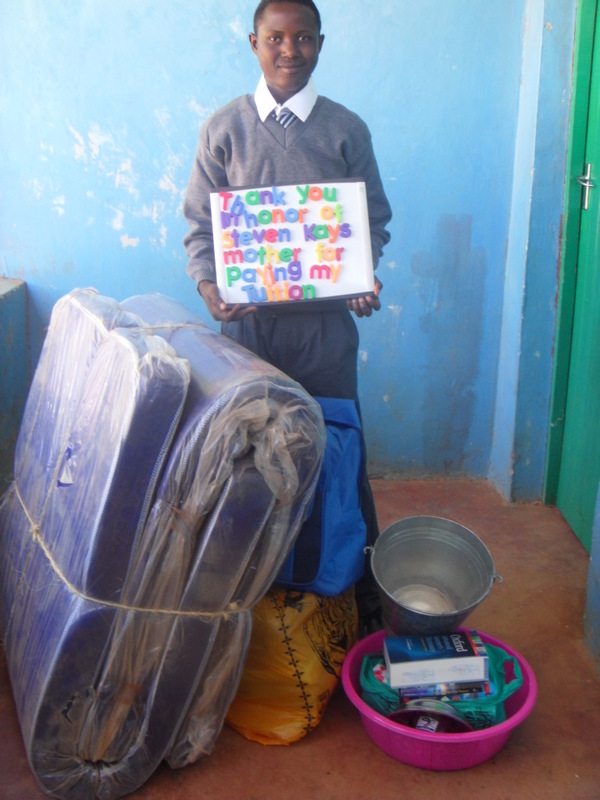 The children were aware of where their money was going and the many children it would help. Susan Woodruff donated money to provide for one day of support for the program. 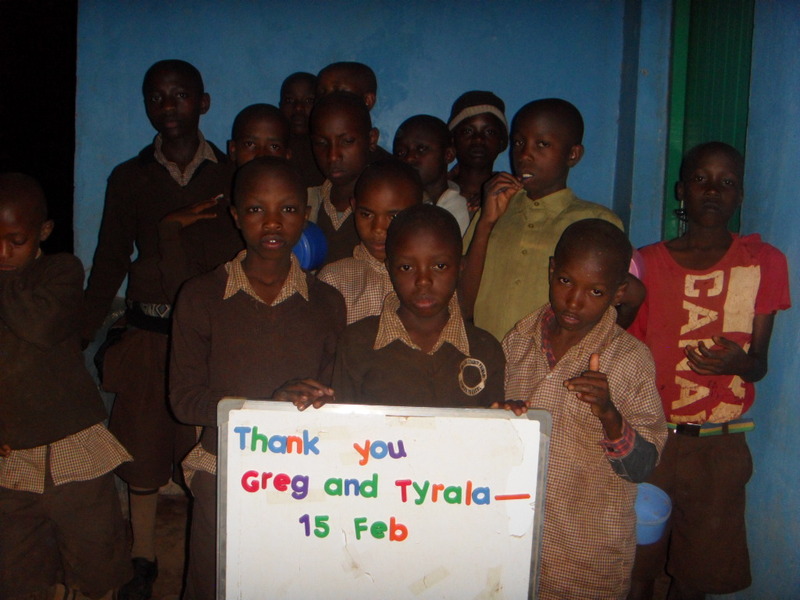 Greg and Karen Tyrala donated for one day of support. Luke, Sarah and Rachel at St. Mary’s gave $5.00 each. Billy a student at Stoneybrook gave $12.00 to be used for a uniform. A $100 donation provides for food for all 55 children, their routine medical care, school supplies, the salaries of the driver, night watchman, tutor, cook, matron and caretaker, the electricity, sanitation and water for the entire building. 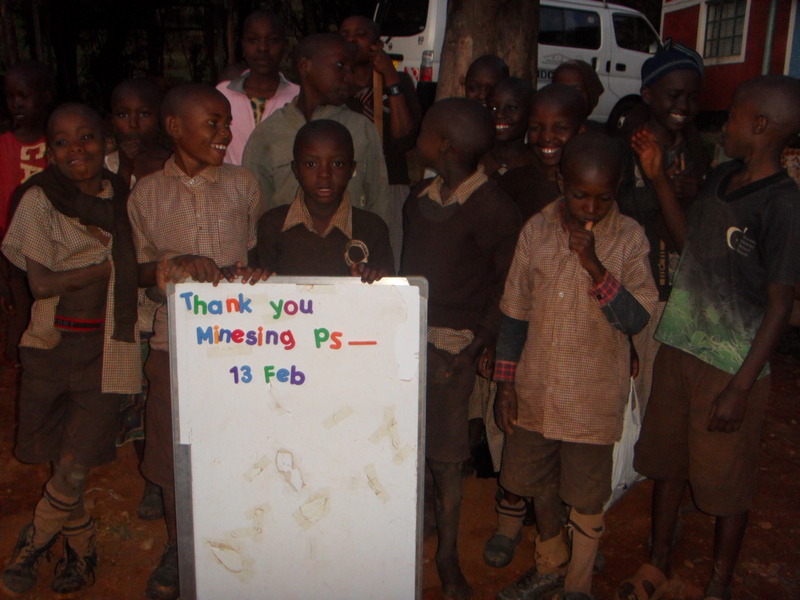 Every month we distribute food and supplies to the orphans in the community. While the majority of this is funded by our sponsors there is always a deficiency and this was offset by a donation from St. Jean De Brebeuf. Many programs support a child until they turn 18, graduate high school or leave school. We feel that in many cases this is like pushing a car half way up the hill. It simply rolls back down. 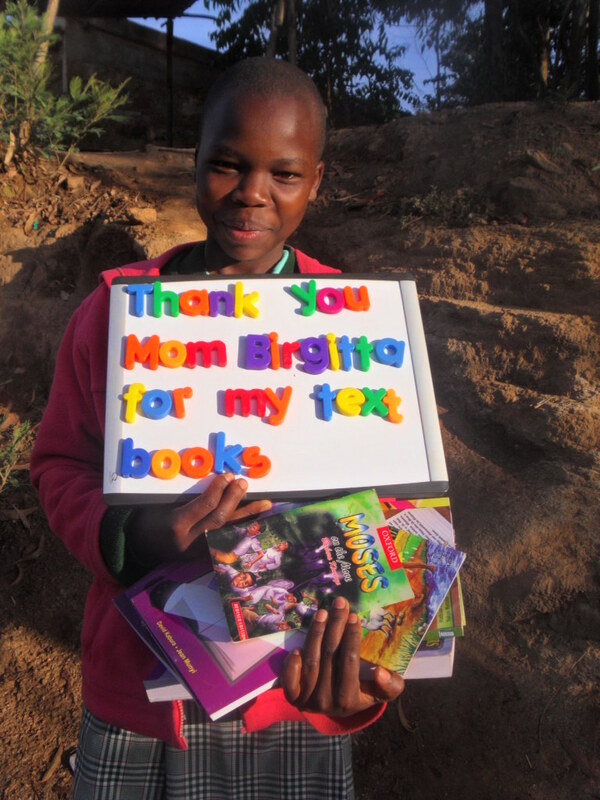 We have made a commitment to provide education for each child in our program, regardless of age. 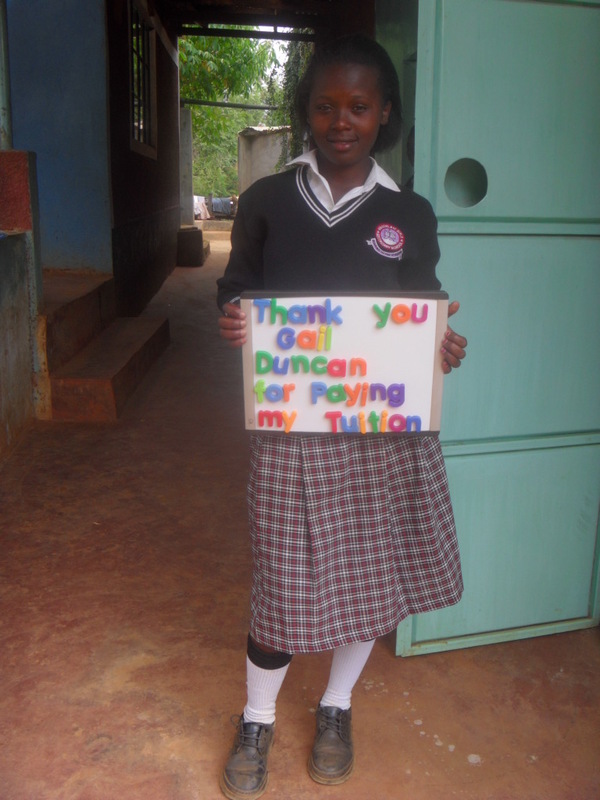 We are hopeful that each orphan will ultimately possess either a university or college degree or a specific trade. Our children have continued to do exceptionally well and have qualified for more academically challenging high school placements and post-secondary placements. 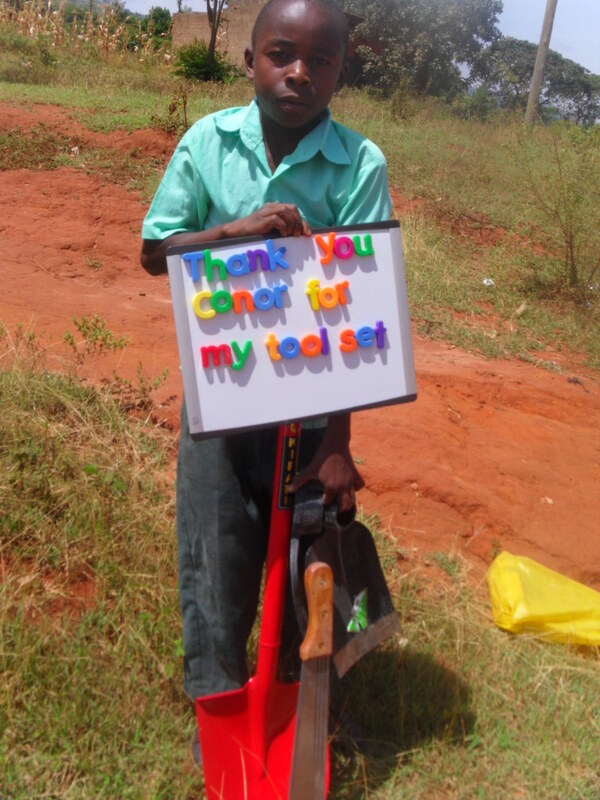 We now have 55 children – 2 in university and 2 in community college – and 7 awaiting post-secondary placements. 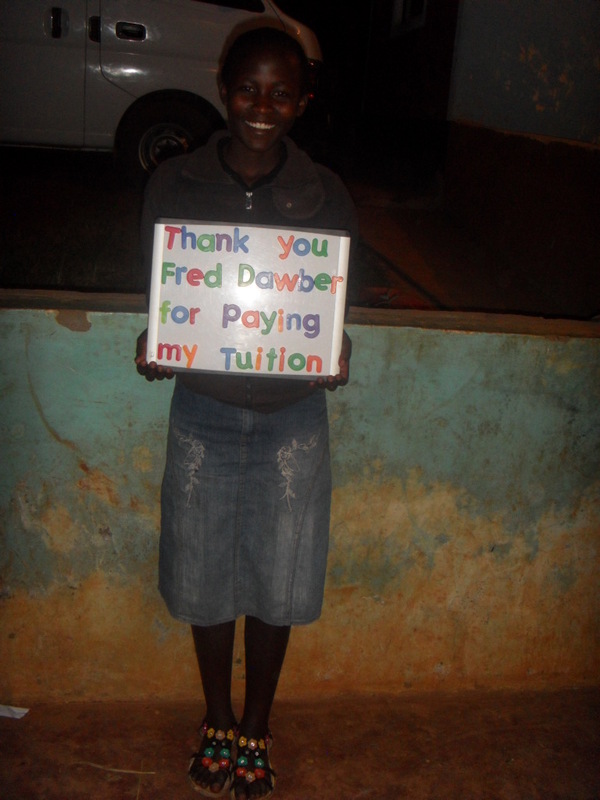 The cost of education has in many cases exceeded the funds donated by sponsors. 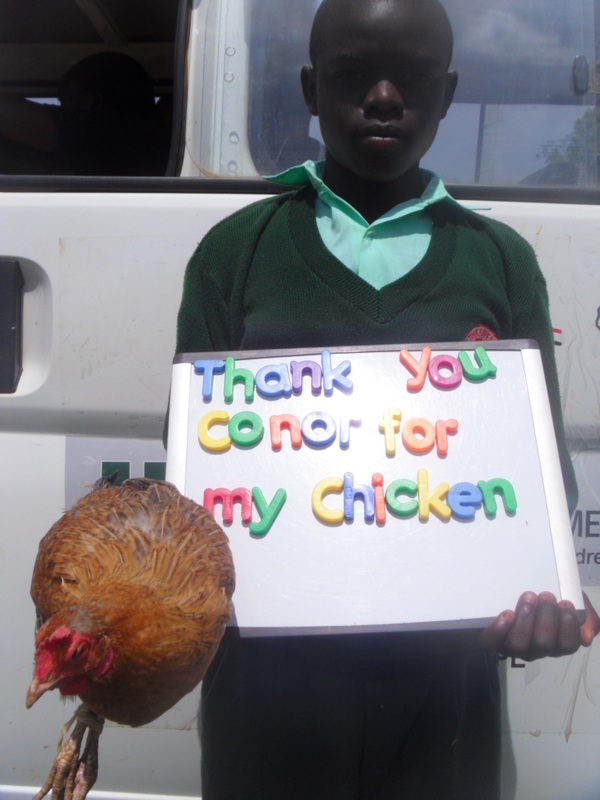 We never have expected that sponsors increase their monthly donations to cover these costs. Instead we have decided that sometimes ‘it takes a village’ and we have also involved an educational sponsor to help pay for some of the cost. February is the start of the school year. Below are some of the students, supported by either regular sponsor and an educational sponsor together or completely by their regular sponsor. 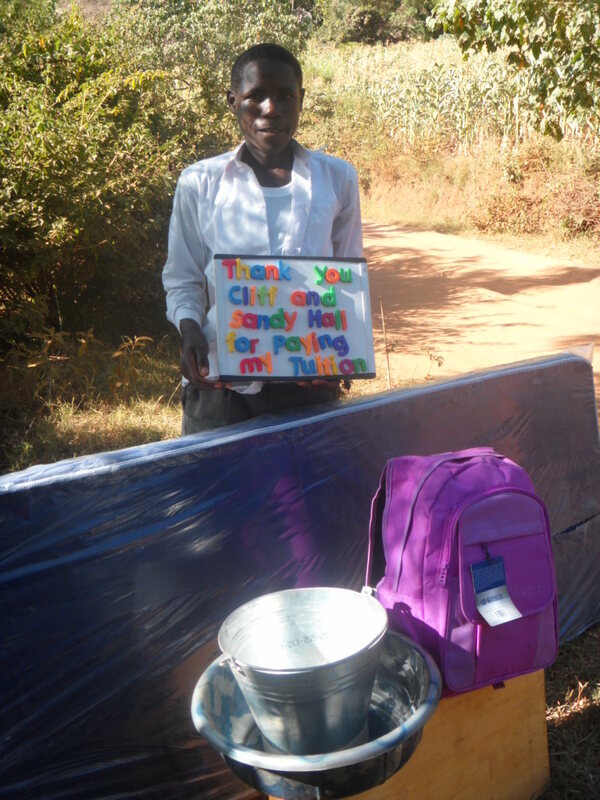 This is Wanza heading off to school – each child starting school in Grade 9 needs to bring with them a ‘start up’ kit to the school. 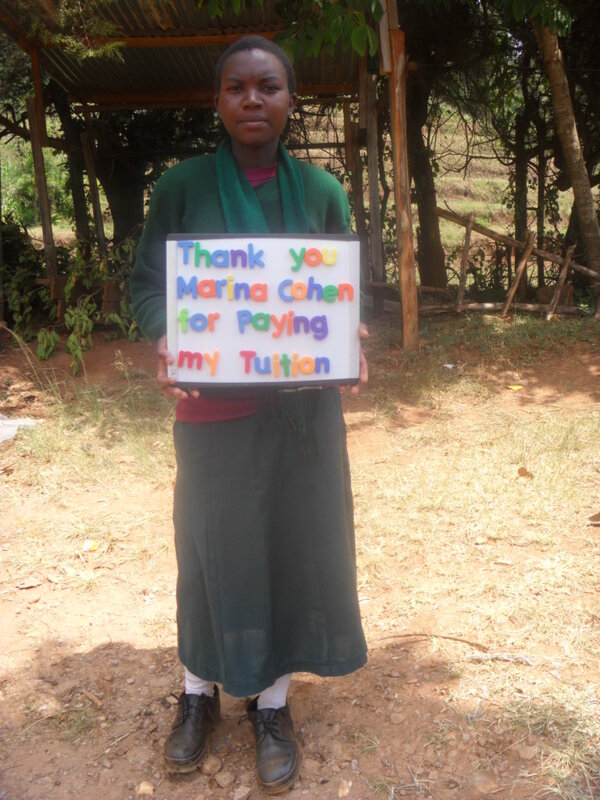 Wanza, who qualified to go to a national school, is supported in her education by her ongoing sponsors Jessica and Chris Patrick and her educational sponsors Susan and Doug Roberts. 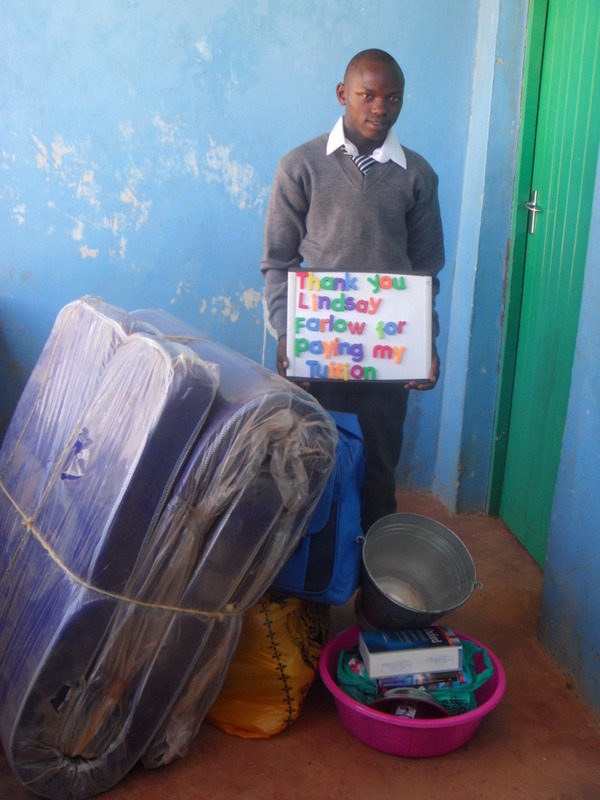 Another one of your students, sponsored by Fred, going off to a National school. Quite the accomplishment – something that wouldn’t be possible without the support of Fred. Michael is supported by his sponsor Dale Clark and his educational sponsor Lindsay Farlow. 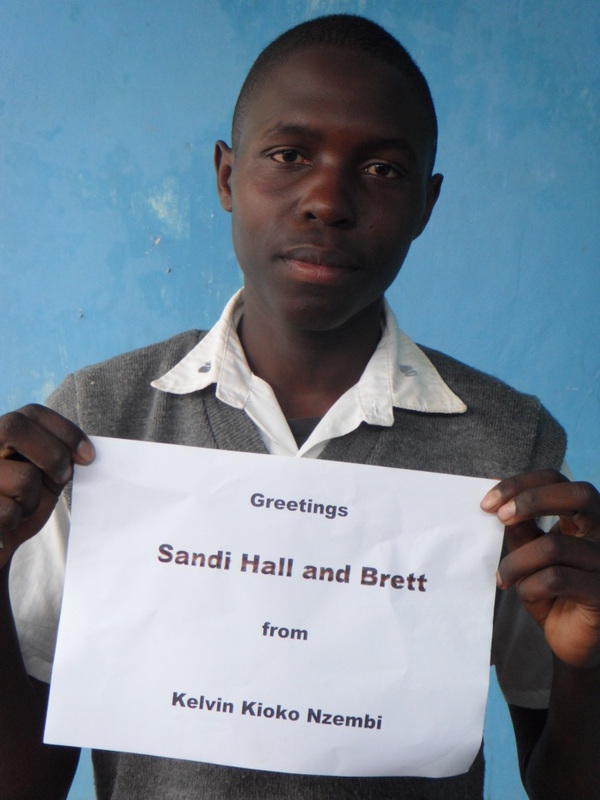 Barb and Cam Miller are supporting Mutinda as he goes to a technical college to train to be a mechanic. 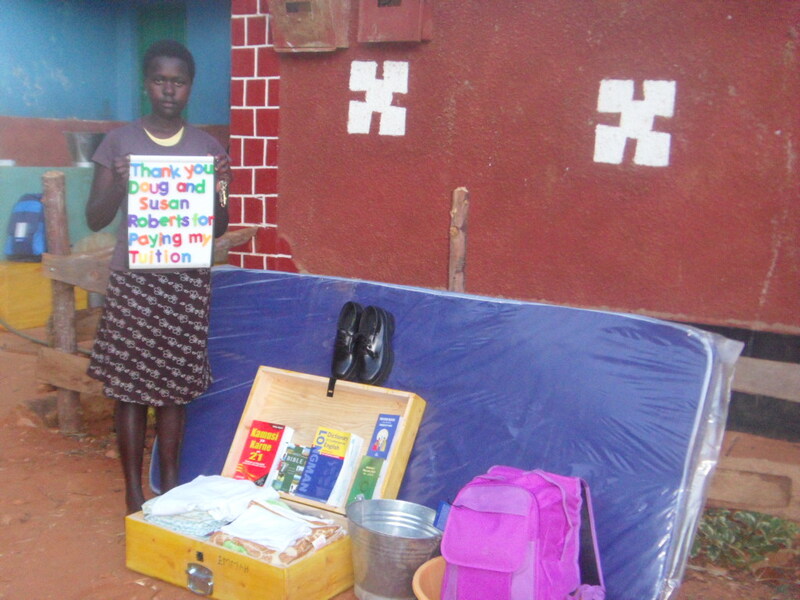 Mary’s sponsor is Lucy Falcone. They met in 2012. 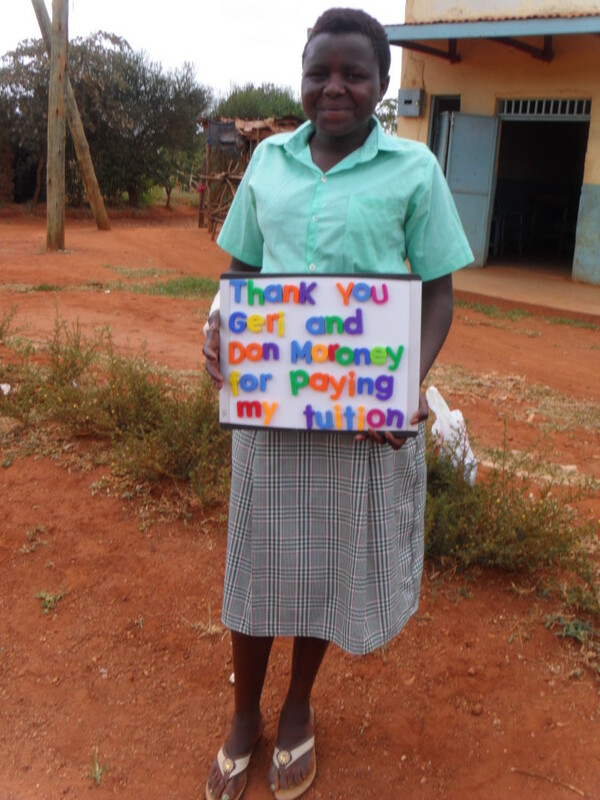 Geri and Don Moroney are helping to support the costs of Mary’s school this year. 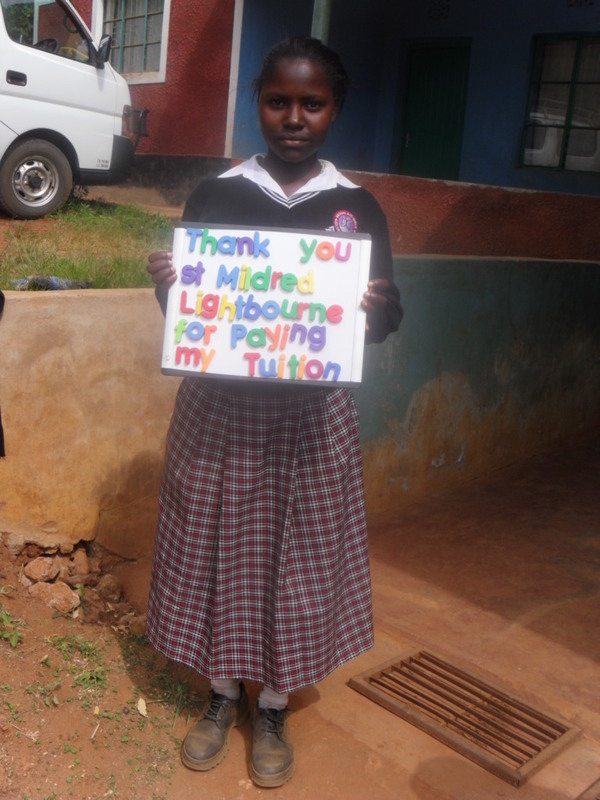 Nzisa is supported by Wanjiku Njorge and this semester St. Mildred Lightbourne students helped to support Nzisa’s tuition costs. 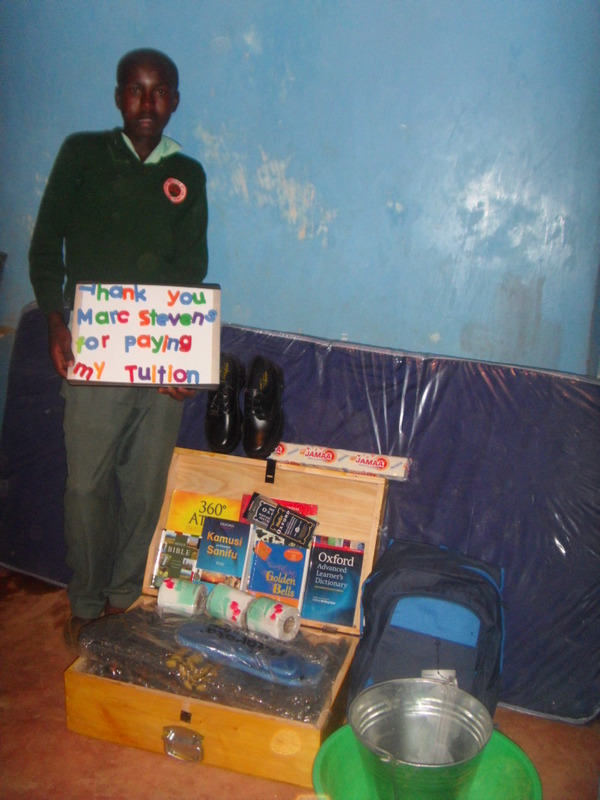 This is Joseph Mutuku headed off to Form 1 with his start up kit. His sponsor is Jason Laking and extra costs were covered in memory of Mrs. Kay. Jackson is heading off to Form 1 as well. He met his sponsors the Halls when they visited in 2013. 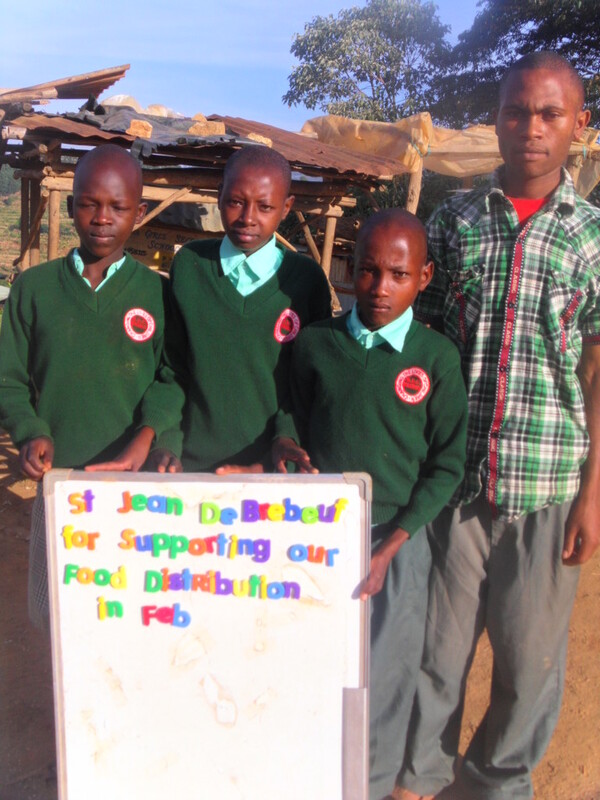 Marc Stevens is the sponsor for Mwendwa David and Stephanie Macmanus for John. Stephanie and her children met John in a visit in 2012. 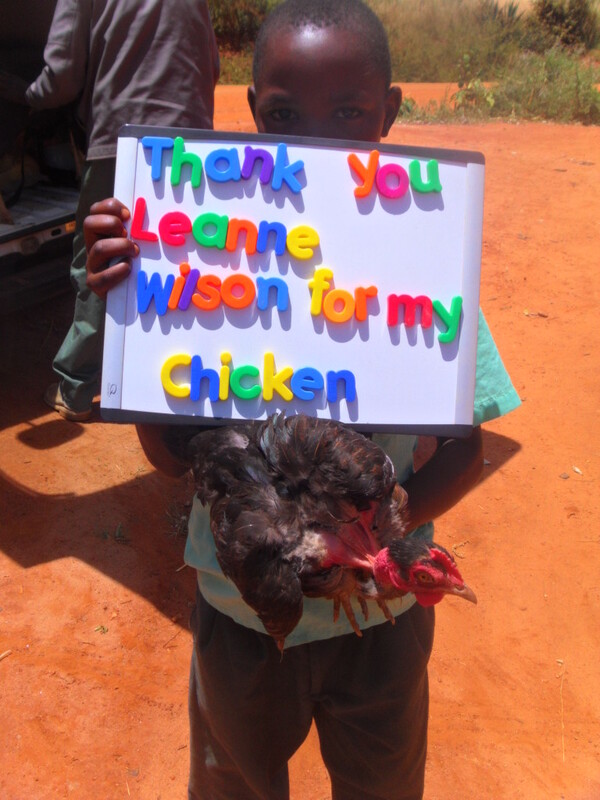 Our sponsors often send parcels to their child. We try to show them a picture of the child holding the objects when they are received. Here are some of those pictures. 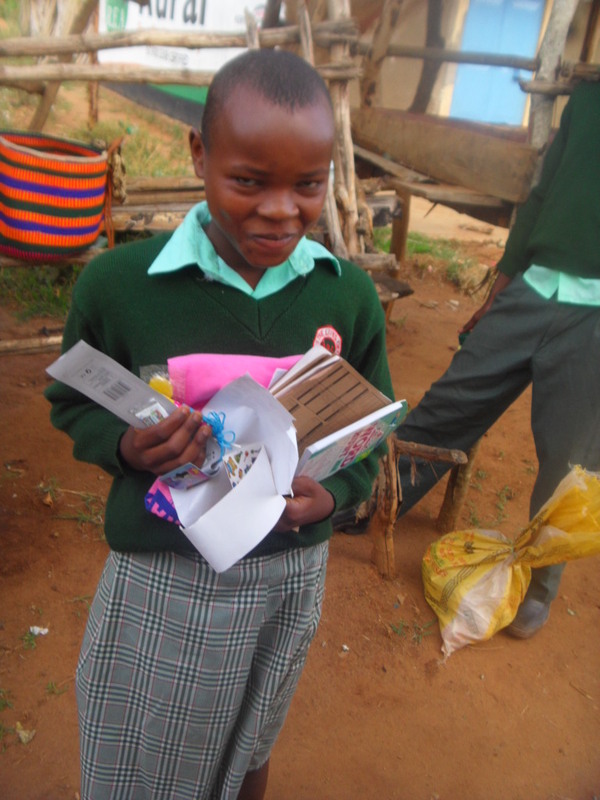 Muthina receiving a parcel from her sponsor Barb. Barb visited with Muthina at her home in 2012.